The Honda Military Appreciation Offer is available to active-duty and reserve members of the U.S. Military as well their spouses. U.S.Military retirees are also eligible regardless of when they retired. Spouses of U.S. Military retirees must take advantage of the offer within 180 days of their spouse’s separation from active service. 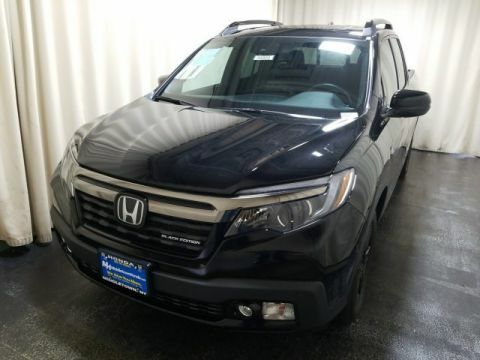 The Honda Military Appreciation Offer may be used toward either purchasing or leasing a 2018 or newer model year Honda vehicle using a Honda APR, Leadership Lease, or Leadership Purchase Plan program through Honda Financial Services. Only one $500 Military Appreciation Certificate is available per vehicle. 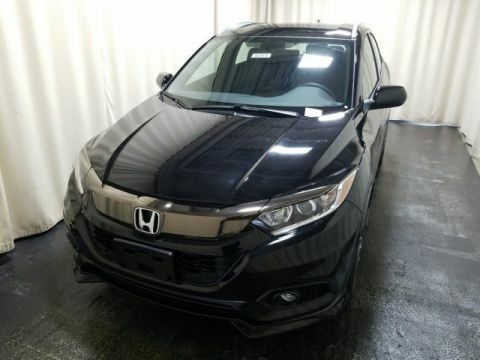 * The certificate can be combined with all other Honda Financial Services programs, except Zero Due at Signing Lease program. 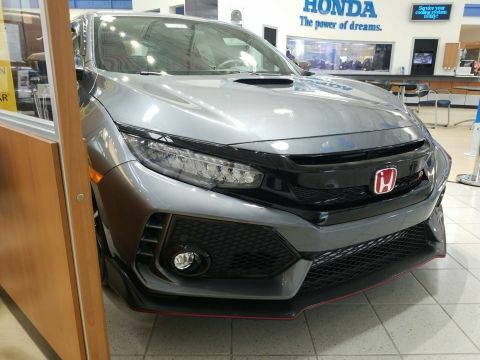 How Do I Take Advantage of the Honda Military Appreciation Offer? Leave and Earnings Statement (LES) to prove your military status. If you are a spouse of a U.S. Military member, you must present a Military ID and your spouse’s LES. 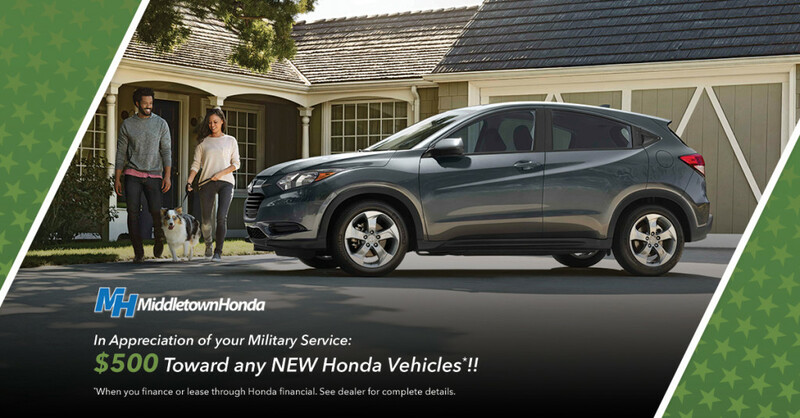 You must receive credit approval through Honda Financial Services to take advantage of the Honda Military Appreciation Offer. At Middletown Honda, we’re proud of those who have served. 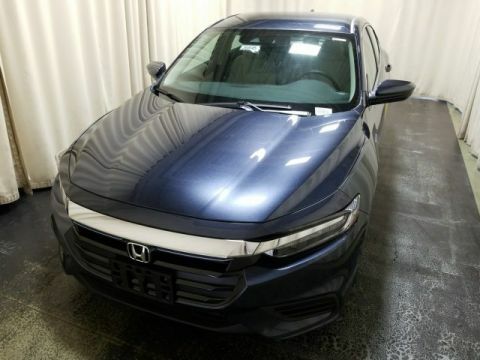 Located at 520 Route 211 E. in Middletown, NY, we’re proud to offer the full lineup of new Honda models — take a look at our inventory and then come to our dealership to take advantage of the Honda Military Appreciation Offer. *Only one $500 Military Appreciation Certificate per vehicle. Towards down payment assistance or cap cost reduction. 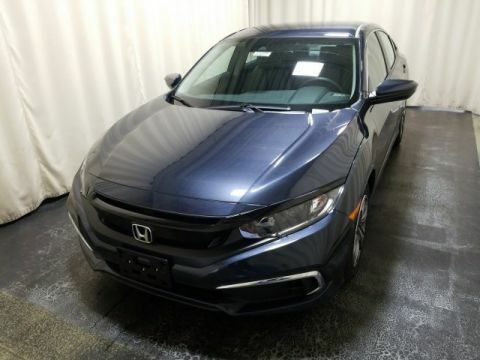 The certificate can be combined with all other Honda Financial Services programs, except Zero Due at Signing Lease program. 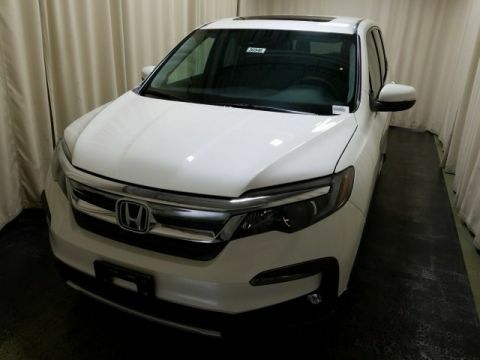 During the term of the retail installment finance contract or lease with Honda Financial Services, buyer may not take their vehicle outside the United States without the prior written consent of Honda Financial Services. 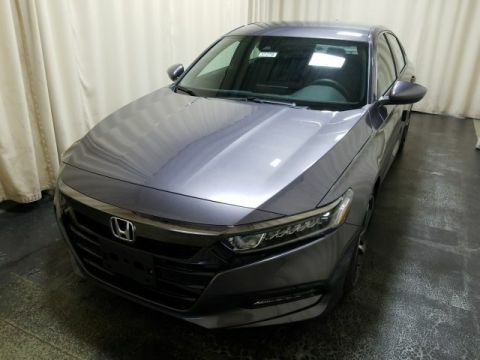 During the term of the retail installment finance contract or lease, buyer must notify Honda Financial Services immediately of any change in the buyer’s address.